You help Texans lead in sustainability when we invest in the economy of the future: renewable energy, recycling and composting. We are working with local elected officials and community leaders to create a healthy environment for all to enjoy. Learn more about our Central Texas campaigns! 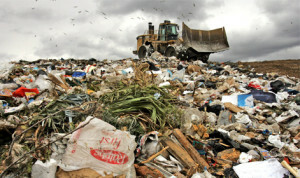 According to a recently completed study of Austin’s trash, nearly half of everything we throw away is organic matter. If you include food soiled paper a majority of what we waste today could be composted. For over two years now the City of Austin has had a pilot program offering over 14,000 households a third bin–an organics cart right next to your trash and recycling. These households have been able to divert more of their discards away from landfills while creating a valuable soil product for Austin area gardeners, farmers, and parks. 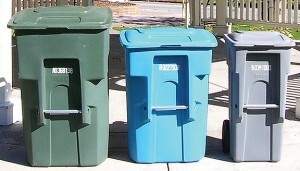 It is time for this third bin to be rolled out to every Austin household! At the same time, however, composting is different from other Zero Waste programs; it is the only diversion activity you can do at home all by yourself. In fact, composting at home, in community gardens, at urban farms, and at the local scale is far more sustainable than large-scale industrial composting using bins and trucks. Community composting captures material with fewer emissions while closing the loop on organic material in our own local ecosystems. Austin has made a commitment in our ground-breaking Zero Waste Master Plan to establish and prioritize community compost, but so far we have been short on specific programs or policies. We need Austin to find a way forward on community composting with specific programs which can help every Austin resident keep their organic material close to home. reduces greenhouse gas emissions from our waste facilities. For Texans seeking to have an impact on waste, water, and global warming composting offers a solution across the board. 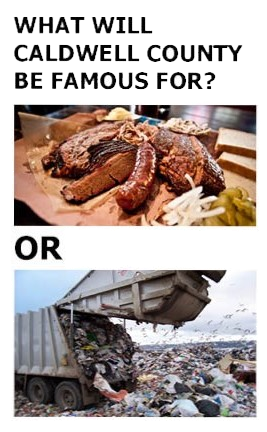 TCE is proud to be fighting to keep all of Austin’s organic waste out of landfills, and we could use your support! 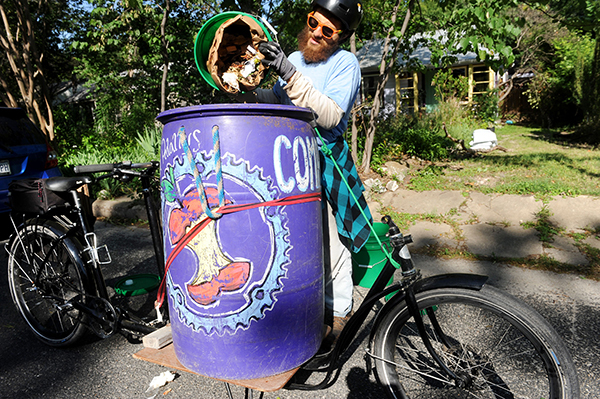 Austin’s Zero Waste future depends on compost! Over 200 communities around the United States already have curbside organics collection–a third cart for discards along with their trash and recycling containers–and more than 14,000 Austin households have been part of a pilot program for organics already. It’s time to roll this program out to every Austin Resource Recovery customer, and to do it as soon as possible. The department has talked about taking as long as five years to roll the program out citywide. This timeline should be much shorter. Curbside composting isn’t the only solution, however. Unlike recycling, composting is a Zero Waste activity you can do in your own back yard. Composting in back yards, at community gardens, urban farms, or local parks means getting all the compost benefits without big trucks and industrial-scale processing. It also means better compost, richer soil, and healtheir food grown right where we live. 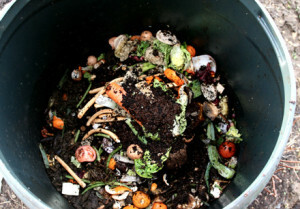 This “community composting” system has been tried in places like New York City and should be implemented in Austin as well. You can take action through our 501(c)(4) sister organization Texas Campaign for the Environment – write to Austin Mayor Steve Adler and the Austin City Council to ask them to roll out both curbside organics collection and community composting citywide as soon as possible so that we can cut in half the stuff we send to landfills while saving water, improving our soil, and protecting our climate! Lockhart has been known for decades for its great barbecue. But in September 2013, Caldwell County residents found out that a 25 million ton, 17 story landfill could become the new landmark in the area. If permitted, this tower of trash could pollute groundwater, the surface waters of Plum Creek and the San Marcos River, as well as produce dangerous road conditions. Moreover, the mess would only worsen the flooding conditions that Caldwell County residents have experienced in the recent past. Environmental Protection in the Interest of Caldwell County (EPICC) and Texas Campaign for the Environment have been working together since the beginning to fight this dump. We are concerned that excess landfill capacity will undermine Zero Waste plans in the region. Our canvassers are assisting in mobilizing the community when important public meetings come up. So far, opposition to the dump continues to swell and was boosted when the Caldwell County Commissioners Court and the Plum Creek Conservation District officially joined the fight. Although the landfill company has attempted to intimidate local residents, they are standing tall! This issue is now being sent to a Contested Case Hearing before administrative law judges. At the conclusion of the hearing, the judges will make recommendations to the state environmental agency (Texas Commission on Environmental Quality or TCEQ), which will then make a final decision. There is also a county ordinance that could block this landfill, but it may take a court case to decide that issue. If you want to help fight the proposed 17-story landfill in Caldwell County, contact our Austin Office and EPICC today! Here are some great resources on this fight and on the fight against polluting waste facilities elsewhere.